Humans aren't the only species who know how to ingest medicinal plants for their health. Discover the botanical remedies that other animals take, and why they have evolved to do so. Many animals consume medicinal herbs for their health. Animals will modify their diet and seek medicinal plants when they are sick. Studies demonstrate that animals learn about medicinal foods more in groups than alone. The article was orginally published by Searching for the Mind with Jon Lieff, M.D. Project CBD recommends Dr. Lieff’s weekly science blog. First, a summary of the previous post on bee self-medication. Bees mix their own secreted oils from plants to make a substance called Propolis. They gather material from the sap of plants and tree buds and mix that material with their own wax. This mixture can include up to fifty different substances, including oils, waxes, and pollen. Some poplar resins include flavonoids that are antioxidants. Some of the resins from trees protect the tree from microbes and insects, and heal wounds. Some bees even include human materials in their Propolis such as caulking materials. Propolis serves many purposes including stabilizing the hive’s structure, avoiding vibration throughout the hive, and defending the hive from invaders. It uses sap with antibiotic properties killing fungus and other microbes. When infested with fungi, they bring more Propolis. This takes considerable energy away from the usual activities of the hive such as building honeycombs and collecting pollen. Despite this considerable investment in time and energy, a study found that bees bring in 45% more Propolis when the hive is infected with a dangerous fungus. 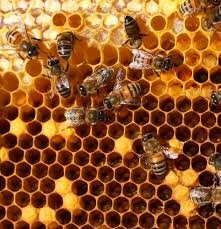 Somehow they are able to prioritize the importance of bringing in more Propolis. In addition, bees kill larvae who have been infected by fungal spores which also takes considerable time and energy. Surprisingly, the study shows that bees can distinguish dangerous fungi from harmless varieties. That is, the bees only brought more Propolis when dangerous fungus infected their hive. When harmless spores were placed in the hive, the bees removed the spores but did not spread Propolis. How do bees know that Propolis is a fungal antibiotic that they will spend so much extra work to bring more into the hive only when there is a dangerous fungus? How do they differentiate between dangerous and harmless fungus? Unfortunately, now bees have more difficulty finding the trees that they need for their medicine. Even among humans, it is not clear how indigenous groups learned so much about plant remedies without modern science. In fact, many of our modern medications come from plants and microbes, many used by indigenous people first. Among animal species there is more information about self-medication among a variety of animals and it is not clear how they first discover these uses. Humans have also learned of new medicines from watching these activities. One well known study involved a chimpanzee who become ill. She left her infant with another friend, built a special nest in a tree. Then she came down and found a very unusual plant that chimps never normally eat. She broke branches off and then sucked juice from the tips. It turns out this plant could be poisonous in higher dosage and was a strong medicine for stomach problems and parasites that takes 24 hours to work. The chimp was sick and weak for a day resting in the isolated nest she had built for the occasion and then felt better and caught up to the troop and her child. The plant that the chimp chewed on was later analyzed (Vernonia amygdalina) and found to have many medicinal chemicals against parasites. A detailed study was then done about the use of this plant and found that the amount of parasites in the stools were decreased by more than 90% in one day. V. Amygdalina could easily kill chimps and therefore they had to take just enough and not too much. They demonstrated skill in using the right amount that was almost dangerous but killed the parasites. They also used this plant most during the season with the most parasites as a prevention. It helped with the most dangerous parasite they faced, Oesophagostonum stephanostonum. In other chimp tribes, other medicinal plants are used, which increases the notion that these are culturally transmitted behaviors. 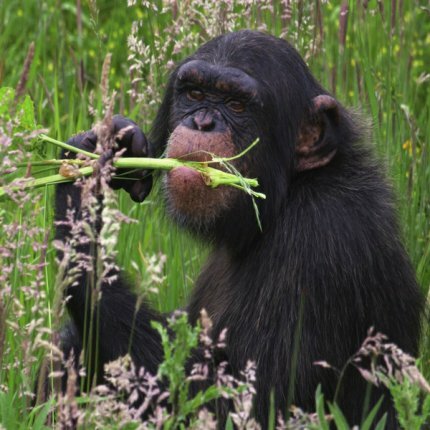 Another chimp remedy for parasites is eating whole leaves rather than chewing them. This mechanically removes parasites. When chimpanzees find specific herbs to treat themselves, the assumption is that there was a cognitive evaluation that occurred to learn what to do, that could have been passed on. But, someone had to make the original observation. Primates change their behavior to both eat bitter pith and also eat whole leaves of vernonia amygdalina. The pith has antibiotic properties and the leaves expel the parasites. A question is raised about whether animals use scientific method to discover these herbs. Do they learn by observing the effects? A sort of scientific method. Do they observe humans to learn? Some animals are demonstrating a large amount of knowledge of human behavior by observation. They could learn some information from watching humans. One of the most clear cases is the African bird that has developed a relationship with the local tribe to find honey. The bird finds the bee hive but can’t attack without the humans. Particular calls show the humans where to find the hive. After the humans attack the hive, they share the honey with the birds. Sheep behavior raises the question about their using the scientific method. 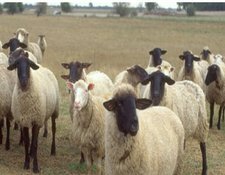 In one research project, sheep were infected with parasites and half were given a medicinal plant in their food that helped cure them. Later, sheep that were now re infected chose the food with the medicine only if they had already experienced being cured by the food with the medicine. These experienced sheep chose the medical food. Those sheep who had not experienced the cure chose to eat only the regular food and remained infected. This study seems to show that choices are made by evaluation and possible cultural transmission. Also, sheep only ate the bad tasting medicinal food when they were sick but not at other times. Sheep also at times appear to teach each other about medicinal plants. Other studies showed that animals learned about medicinal foods more when they are in groups than alone. Another behavior is when an animal is ill to increase experimentation with new plants to see what will help. Some animals when ill eat plants that are not usual. When ill, they explore other types of food looking for medicine. In this way, they try tastes that are not normally pleasant. It raises the question as to whether farms should plant medicinal plants to avoid using so many antibiotics. Recent research shows many other animals and insect self-medicate. Caterpillars eat particular plants that are toxic to kill parasitic flies. Ants use special sap from spruce trees to ward off particular microbes—these include the antimicrobial terpenes. Parrots eat clay when their stomach is upset. Monkeys have special repellants for insects including citrus juices, and a poisonous insect. A sick porcupine ate a toxic plant and this was observed by a local healer who learned about the medical properties. His tribe then began to use the herb for stomach ailments. Early hominids showed knowledge of particular medicinal plants that would repel dangerous insects. House sparrows and finches fight mites by taking cigarette butts into their nest. It is hard to believe that insects have the level of cognition to learn from the environment. The other possibility is that somehow this information is hardwired in the brain structures. When it comes to bees, there is a question about high intelligence and learning ability with abstract concepts, elaborate learning about landmarks for long trips, ability to communicate exact locations and qualities with a symbolic language. As mentioned, when ill, animals increase the variety of their diet looking for medicinal plants. They learn from observing other animals survive. Also, animals become aware of increased risk for infection and take medications as a preventive measure. Another tactic is to use more of one particular plant that is already in their diet. Most research is with parasitic diseases since this is the most about to be studied. Animals both use precautionary measures and direct treatment with altered behavior. Animals can also medicate their children or comrades. Since animals have been noted to not just find food items they would not normally use but also, when ill, they are noted to increase the amount of foods they are already eating. Most of the research has been with self-medicating related to parasites. Animals have been noted to treat themselves when infected by a parasite. They also treat others in the their community. Those animals who medication themselves include caterpillars and baboons who also medicate their children and other family members. They use prevention as well. Fruit flies change their behavior when they are near parasitoid wasps. Instead of their usual places for egg laying, they lay them in food that has high amount of ethanol that the wasps can not tolerate. Wood ants also demonstrate protective behaviors when exposed to parasites by adding specific antibiotic resins taken from conifer trees. Monarch butterflies infected with parasites protect their children by putting eggs on milkweed that kills parasites. House sparrows and finches use human cigarette butts as material for their nests to stop mites. These processes can involve viruses as well. Caterpillars eat a large amount of a plant that has a lot of phenolics. This decreases a particular virus (polyhydrosis virus) that allow for a larger amount moths to be produced. The ability of animals, including small insects, to know which substances are medicinal is one of their many unexplained intelligent behaviors. Some examples of this behavior is clearly learned and culturally transmitted. Others are hard to explain without possible inheritance. The unusual intelligence described for ants, termites, and bees is usually assumed to be an emergent “group behavior”. This is not proven currently. While in some ways related to their group interactions, many intelligent characteristics are actually found to the characteristics of individuals. 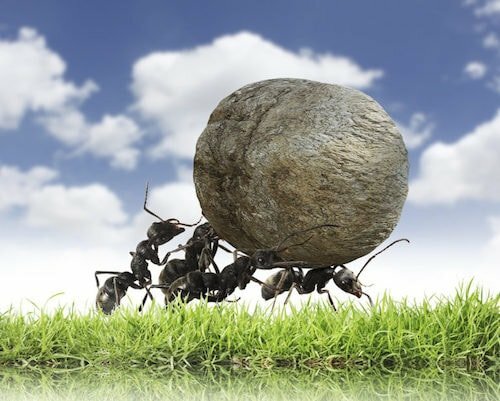 For example, see post on individual ants using a wide range of different factors to guide navigation and can even learn new ones never used before by ants. Other examples are in the posts on bees and termites. Medication behaviors appears to have at least some aspects of learning and cultural transmission. Photo credits: Discover Magazine Blog, Pennywood.weebley.com, UNL Animal Science, Jon Lieff, M.D.